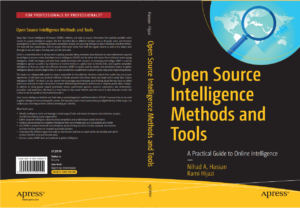 Open Source Intelligence Methods and Tools, focuses on building a deep understanding on how to exploit Open source intelligence (OSINT) methods and tools to acquire information from publicly available online sources to support intelligence analysis. The harvested data can be used in different scenarios like financial, crime, terrorism investigations in addition to the regular tasks like business competitor analysis, background check and acquiring intelligence about individuals and other entities. This book will also improve anyone skills to acquire information online from surface web, deep web and the darknet. Use this hands-on guide to understand the ever growing and complex world of digital security. Learn how to protect yourself from digital crime, secure your communications, and become anonymous online using sophisticated yet practical tools and techniques. 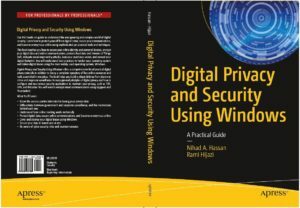 This book teaches you how to secure your online identity and personal devices, encrypt your digital data and online communications, protect cloud data and Internet of Things (IoT), mitigate social engineering attacks, keep your purchases secret, and conceal your digital footprint. 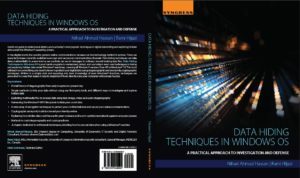 You will understand best practices to harden your operating system and delete digital traces using the most widely used operating system, Windows. This is your hands-on guide to understand, detect and use today’s most popular techniques in hiding and exploring hidden data.